Spring into Spring event with Operation Farm. 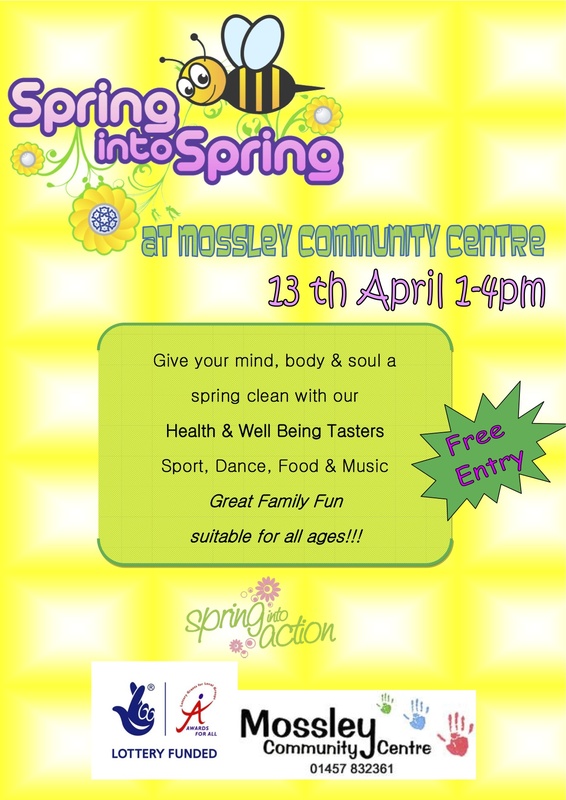 Operation Farm are excited to announce that they will be taking part in Mossley Community Centre’s Spring into Spring Event. The lottery funded event takes place on 13 April 1-4pm and aims to introduce local people to new & existing sports, health & well being activities at the centre. Activities include dance, singing, gardening and sports. The free, family friendly event will also showcase the centre as a great venue for party hire. 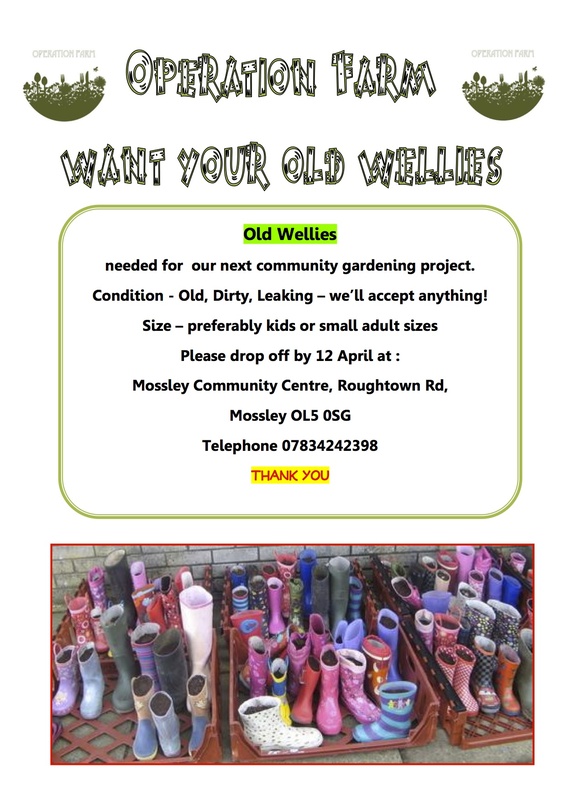 Operation Farm will be hosting a ‘planting in wellies’ workshop and therefore need lots of ‘old wellies’ ! !